life-muse: I'm just a sofa critic, but watch it at your own risk. I'm just a sofa critic, but watch it at your own risk. The husband and I watched this last night as it has been long time since we've watched a Chinese movie on the big screen. The last time we watched one was Infernal Affairs and that totally blew us away! But this? Don't. Even. Bother. I fell asleep in the middle of the show and only woke up when its about to end. 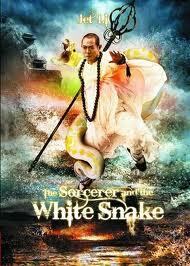 Poor editing, bad acting, passable effects and the reason why we watched it was because of Jet Li. If he wasn't in the movie, I don't think anyone would have watched it. You can just read the story here.